Let’s go over the facts really quickly. The Calgary Flames will be taking on the Anaheim Ducks on round two of the 2015 postseason. With 109 points, the Ducks finished 12 points ahead of Calgary in the Pacific Division standings. Anaheim is undoubtedly better than Calgary’s first round opponent in Vancouver. The Flames have a long, well publicized run of futility at the Honda Center. Calgary will almost certainly be viewed as the underdog in this series. You can’t really dispute those facts I just listed off. One thing I can dispute, however, is the notion that the Ducks are a true Western Conference powerhouse. Stop screaming at me, I’m very fragile. THE DUCKS HAD 109 POINTS! ANAHEIM HAS WON THEIR DIVISION FOR THE LAST THREE YEARS! EVERYONE SAYS THE DUCKS ARE AWESOME SO THEY ARE! I hear you, I really do, so please stop shouting. The Ducks are a good team and they are a legitimate playoff squad. But unlike teams like Minnesota and Chicago, I see pretty clear areas to exploit. Whether it’s the Flames that exploit them, well, that’s another question. First and foremost, there are real question marks for me about Anaheim in net. Frederik Andersen has yet to lose in this year’s postseason, and he was just fine in a first round sweep of the Winnipeg Jets. But his regular season was just okay. Andersen’s 0.914 overall save percentage, and 0.920 at even strength, puts him near the bottom of NHL number ones. To put it in context, both those numbers are lower than Jonas Hiller’s regular season totals. Andersen put up wins in the regular season and is probably their best option as a number one. But to say that the Ducks boast strong goaltending would be untrue. Eddie Lack scares me more than Andersen does, and I think Calgary has a chance to come out on top in a head-to-head goaltending battle. On the one hand, if you look at Anaheim’s record in one goal games, it’s very impressive. With a record of 33-1-7 in one goal affairs, the Ducks won more than 80% of their games in that situation. They must just be really good when playing close hockey, right? Well, I’m here to poke some holes in that theory. Anaheim had a 0.805 winning percentage in one goal games during the regular season. Since 1997-1998 (as far back as the NHL tracks the stat), no one has been above 80% in that category. Almost every time there is an outlier season like that, there’s a little more to it than just skill, grit, determination, or whatever other hockey nomenclature you want to use. There’s undoubtedly a word involved that has turned into a four letter bomb for some hockey fans: luck. For sure, the Ducks are comfortable playing in close games, but you’re telling me they’re better at it than, say, Chicago or Tampa? Of course not, because some of it comes down to good fortune. Will that favourable luck evaporate this year? No one can say for certain, because it’s totally random, but winning a bunch of one goal games doesn’t automatically tell you how good a team is. The same can be said about all those third period comeback wins for Anaheim. The Ducks tied an NHL record with 12 wins when trailing after 40 minutes. For context, that’s two more than the Flames, who were labelled the comeback kids all year long. If I chalked up a few of those Calgary comebacks to the hockey gods, then I have to do the same with Anaheim. I know, I know, the Ducks did it three times in their first round series with Winnipeg. In fact, they set a new NHL record for doing it three straight times in a playoff series. That’s great, and just like Calgary, it shows that they are a resilient bunch who are never out of a game. But if they were truly a dominant team, would they be finding themselves trailing after two thirds of a game so regularly? It’s a valid question to ask. Finally, it’s not as if the Ducks had overwhelming underlying stats. They were just a middle of the road possession team in the regular season, only slightly better than Vancouver. The Ducks finished the regular season with a Corsi for rating of 51.2%, which put them 16th int the league. Anaheim did a decent job of limiting shots against over 82 games, but the thing that makes me more skeptical is the just okay job they did generating offence at the other end of the ice. Even looking at their best players, we’re not talking about dominant possession numbers. Ryan Getzlaf, Corey Perry, and Ryan Kesler all finished with positive shots rates, but only slightly. Getzlaf’s 3.52 raw Corsi number is the best of the bunch, starting 50.6% of his faceoffs in the offensive zone. For sake of comparison, the top players on, say, Chicago (Toews, Sharp, Hossa) were all in double digits. So, sure, Anaheim is a better puck possession team than the Flames are, but they’re not one of the elite groups either. Much like the piece I wrote about the Canucks prior to round one, this is not a piece highlighting how Calgary is better than Anaheim, or how they should be victorious in this series. It’s more to point out that, once again, the Flames got a pretty favourable draw. Despite their impressive regular season and first round display, Anaheim is beatable…by someone. I’m not convinced that someone will be the Flames, but as they say, that’s why they play the games. Sounds about right… in terms of WC playoff teams that I would rather the Flames avoid the Ducks were rather middling. It’s gonna be tougher then the Canucks series for sure (Ducks depth isn’t Canuck level paper thin) but I’d rather the Flames face them then Chicago or St. Louis (thanks Minny!). 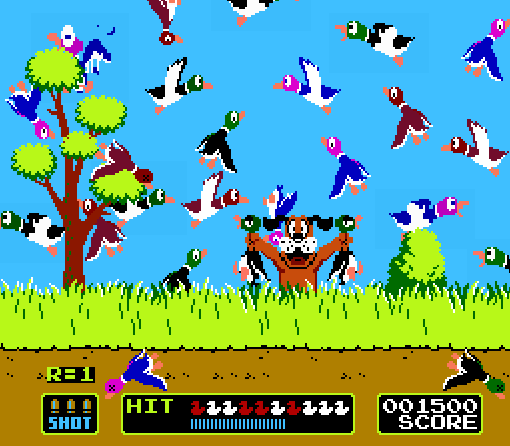 The boys have a chance and that is all we ask….no 4 game sweep here by the Ducks! Even though the Ducks may have areas to exploit, they are a better team that lost to LA last year in the playoffs. They added Ryan Kesler as their #2C. We all know what Getzlaf and Perry can do but the Ducks have Kesler and Cogliano going. The Flames can use their speed to their advantage and Ferland need to pound the Ducks players like Beauchemin and Kesler. Plus you got to keep an extra eye on guys like Silfverberg and Etem. With Tampa’s win last night, let me be the first to predict a Flames-Lightning rematch in the Stanley Cup Finals (with the Flames prevailing). We don’t often get out of the first round, but when we do, we GO TO THE FINALS! Just thinking about 2004 makes my stomach churn. The puck was in!!! As great as a rematch and subsequent win against Tampa Bay would be, we need to get passed Anaheim first. The key in my opinion, will be to break the Honda Center curse. If we can split the opening two games then the Flames really have a chance. Apparently we’re only playing teams that end with -ucks. So next team will be the Chicago Blackhucks. Then the Montreal Canaducks. I’d rather see a Flames-Canadiens 1989 rematch, myself. What I don’t get is how they just ran over the Jets. I honestly thought the Jets were the BEST pic for an upset – they were a team with strong offensive depth, a great d-core and Pavelec was providing adequate goaltending. Their underlying numbers were good. Their building was nuts. Etc. That’s just it… they didn’t really run over the Jets. Yeah, they swept them in 4 but it’s not like they dominated any game that they played against them. Two 1 goal games and in the other two games the bulk of Ana scoring was just in the third period. The Jets tried to outmuscle the Ducks and I don’t think that works against them at all. Jets were also undisciplined and the Ducks made them pay. And Buyfuglien was mostly invisible. Yeah, Byfuglien was dreadful, he spent all series trying to make big hits, caught out of position so many times. The Ducks gave the Jets’ defence fits with because of their lack of mobility. Byfuglien, Myers, Stuart, Pardy: none of those guys are top notch skaters, and none of them are very good moving laterally in the defensive zone. The Jets defence seemed to have difficulty handling the speed of the Anaheim forwards, especially to the outside. Guys like Kesler, Perry, Silfverberg, Cogliano, and Etem are all great skaters that made the Jets’ defence man look silly at times. This is one reason I have hope for the Flames vs Ducks. The Flames don’t have too many oversized guys who lack foot speed on the backend. They were able to minimize the danger of Vancouver’s off-the-rush chances in the series because they rarely got out-raced in the neutral zone and took away passing lanes. The difficulty will come when Anaheim starts to cycle the puck, since they’re a bigger team than Vancouver and have guys with some finish. I believe Jets won more games down the stretch without Byfuglien in the line-up than with. So great to have McSteinLovin’ back writing articles. Level headed, not negative or overly positive but rational. Great article Pat. All I’m hoping for right now is that the Flames get at least the split in Anaheim like they did in Vancouver. Calgary needs to stay out of the penalty box, and if they can play the same way they did in game 3 against Vancouver, they have a good chance. So I’m going to make a bold prediction. It’s just what I see in my crystal ball! If the Flames make it past the Duck in the second round, then they will take the cup. I think the Ducks will be the toughest test for the Flames. If they beat them they will beat every other team in their way and take the cup!! Their opposition in the finals will be the Ranger or the Canadians. I’m hoping for the Canadians so we have a repeat of the 1989 series! So with that said; Go Flames Go!! You have me convinced Pat. On to Chicago. Johnny Calder to dethrone Patrick Kane to further cement another banner year. He just got his motor running. Watch out.